Competitor. Persuader. Crossfitter. Cape Bretoner. Jocelyn-Rose joined the firm in 2012 and has a broad civil litigation practice. 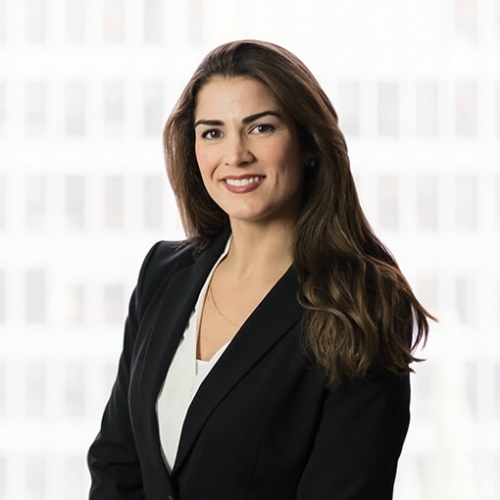 Prior to joining Rogers Partners, she gained litigation experience working at an insurance boutique firm in Toronto and an East Coast firm in her hometown on Cape Breton Island. Jocelyn-Rose obtained her law degree from Bond University in Gold Coast, Australia. Upon her return to Canada, she obtained a Certificate of Qualification from the National Committee of Accreditation in Ottawa. Jocelyn-Rose was called to the bar in Ontario in 2010 and in Nova Scotia in 2011. Before law school, Jocelyn-Rose obtained a Bachelor of Business Administration degree at Acadia University in Nova Scotia. Feel free to get in touch with Jocelyn at 416.594.4527 or jocelyn.brogan@rogerspartners.com.